Blumhouse Productions and QC Entertainment have today revealed an art series inspired by the upcoming Get Out movie. 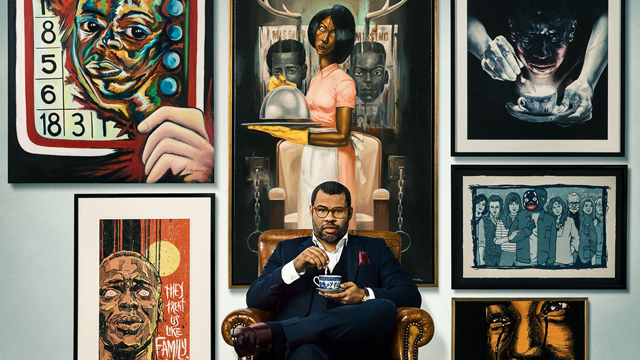 The upcoming horror thriller is written and directed by Jordan Peele (Key and Peele, Keanu) and, in the gallery viewer below, you can check out art by Corey Barksdale, Frank Morrison, Sindisio Nyoni, Jermaine Rogers, Sharlene Artsy and Taj Tenfold. You can also click here to get tickets to a free Get Out movie preview. Act fast, though, as the seats are first come, first serve! RELATED: Watch the Trailer for Jordan Peele’s Get Out! The Get Out movie begins as Chris (Daniel Kaluuya) and his girlfriend, Rose (Allison Williams), have reached the meet-the-parents milestone of dating. She invites him for a weekend getaway upstate with Missy (Catherine Keener) and Dean (Bradley Whitford). 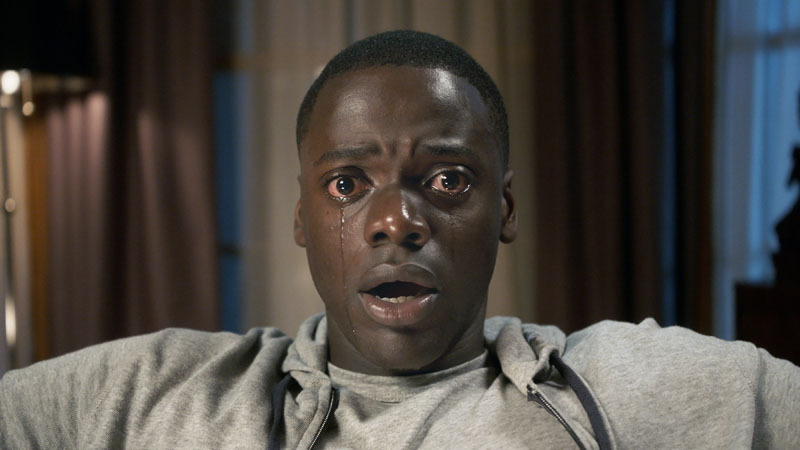 Equal parts gripping thriller and provocative commentary, Get Out is written and directed by Peele and produced by Blumhouse’s Jason Blum, as well as Sean McKittrick (Donnie Darko, The Box), Peele and Edward H. Hamm Jr. (The Box, Bad Words). Blumhouse’s Couper Samuelson is executive producing alongside QCs Ray Mansfield and Shaun Redick. Get Out also stars Caleb Landry Jones (X-Men series), Milton “Lil Rel” Howery (The Carmichael Show), Betty Gabriel (The Purge: Election Year), Marcus Henderson (Pete’s Dragon) and Keith Stanfield (Straight Outta Compton). Which of these Get Out movie pieces is your favorite? Let us know in the comments below!